For brands either taking their first steps into the realm of Live Chat or perhaps looking to review current online chat practices, it’s important to get it right so the service truly works for your organisation and of course meets the needs of today’s busy digital consumer. 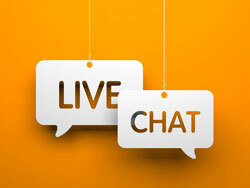 If you get live chat right, it can deliver major advantages all round. After all, the whole idea of implementing live chat is to help assist customers in finding the answers to their questions in order to reduce shopping cart abandonment. On top of this, it eases the inbound burden on the contact centre from having to answer repetitive calls that could easily be answered via a quick live chat session. What is important is to make live chat work for your needs. There’s no point in simply having a chat function on your site that either isn’t integrated into your overall contact strategy or doesn’t deliver the intelligence or analytics needed to track how successful it is in supporting the customer service function. Today, the pressure is on brands to deliver a consistent, always-available customer service function across all mediums. Customers today expect a seamless omni-channel interaction with brands, where they are guided to where they want to be, in one journey, regardless of the method used to contact, while having the ability to switch seamlessly between devices without having to start the conversation from scratch. 1. More Immediate Support: Live chat enables instant contact with a company in a way that cannot be rivalled by emailing or calling customer service. Live chat agents are able to walk customers through a sale right then and there, at the time that they are in the buying process. The immediate feedback keeps the customer from leaving the site while waiting for answers. 2. Virtual Assistance Is Today’s Reality: We now have the ability to seamlessly integrate virtual assistant technology with live chat, meaning brands can offer an around-the-clock chat service to support customers. It also means that if the virtual assistant is unable to help the client, the interaction can be picked-up by a live agent who can see the context of the conversation and help the customer. Virtual assistant technology can also connect to customer data in CRM systems, meaning account specific questions can be answered. 3. Monitor and Measure: Live chat can show you where customers need to get help in the purchasing journey. It delivers intelligence to better understand customers’ journeys so the right service is provided at the right place and time. Feedback tools in virtual agents can also obtain immediate customer insights by asking ‘did this help you today?’, which can be used to assess and adapt how future interactions are handled. 4. Multi-Tasking Mania: With consumers’ growing attachment to electronic devices, they have become expert multi-taskers! It’s not uncommon to see a family watching TV together while each of them is on a separate device, either working on their laptop, texting a friend, or following a Twitter feed about the show they are watching. Live chat enables the customer to continue doing what they are doing while receiving personal customer service. It’s therefore important to ensure that your brand is responding to queries received via all digital methods – whether mobile web, SMS, social media and more – and offering the ability to connect to a live chat session. 5. Jump the Queue: Customers like the idea that live chat removes the need (and related frustrations) of waiting in a queue to speak to a telephone-based agent. It means that waiting and call costs are removed for customers, while brands are able to handle multiple interactions at one time, with several simultaneous chat sessions possible. It also means that service teams have to deal with fewer calls from frustrated customers who have had to queue for service. 6. Use Chat Trails to Your Advantage: Brands are able to track, monitor and review live chat transcripts to update websites, adjust information provided and assist in future training of customer service representatives. 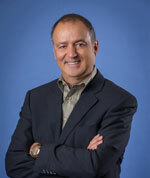 George Skaff is CMO at TouchCommerce. George has over 25 years of progressive experience in the computer industry, and has demonstrated a proven business expertise in marketing and strategic partnerships for various sized companies in high technology and services areas.